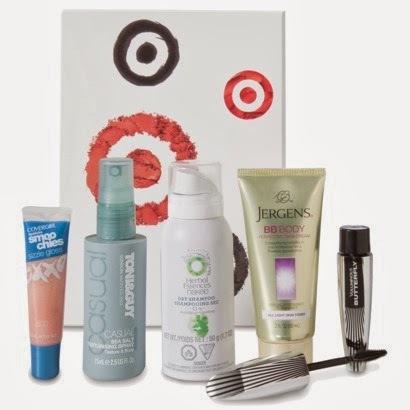 boxfullove: boxfullove Tarjay :: The return of the Target Beauty Box! boxfullove Tarjay :: The return of the Target Beauty Box! I didn't even know about this until recently, but back in June of last year, Target had a short-lived flirtation with its own beauty sub box. It cost $5.00, appears to have been billed as a one-off, and included a mix of five deluxe samples and full-sized products. 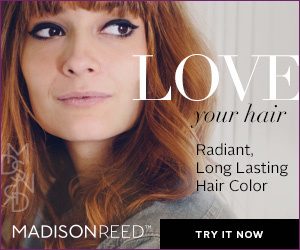 For mysterious (to me, at least) reasons, the beauty box was not offered again -- until now! The box is $5.00, and shipping is free if you pay with a Target RedCard, otherwise it looks like you'll need to spring for s&h, which shouldn't be much more than another $5.00 or so. I could not resist picking up this Target Beauty Box -- it's a total steal! Did you give in to temptation, too?